Attending a careers fair can be a daunting prospect, especially if it’s your first time. Employers, advisers and agencies all under one roof, ready to talk everything that might come your way once you set foot into the seemingly cold, bleak abyss that lies in wait once you’ve pranced on out of the exam hall for summer. Fret not! There are a few simple steps you can take that will put you in a great position when attending your university careers fair. If you follow our advice, you can walk into your careers fair with more confidence than Usain Bolt turning up for the Dads’ race at a school sports day. A couple of weeks before the fair, find a list of exhibitors who will be attending. Have a read through and pick out 10 companies you are interested in. Take a few minutes to research each of them; the industry, their product or service and what types of internships and placements they offer. ​Employers will be impressed if you can have an informed conversation with them. It shows you’ve taken the time to prepare before turning up! Make sure have at least one question to ask a representative from each of the 10 companies you’ve highlighted. Networking with employers and chatting about their internship programmes is obviously a huge goal when attending a careers fair. But, that’s not all! It’s key to make sure you have a little something you can hand over on the day, so you’ll stick in their mind. Everybody loves a souvenir, internship recruiters are no different! This is where your CV comes in. Well in advance of the fair, get in contact with the careers service to make sure your CV is looking flawless. 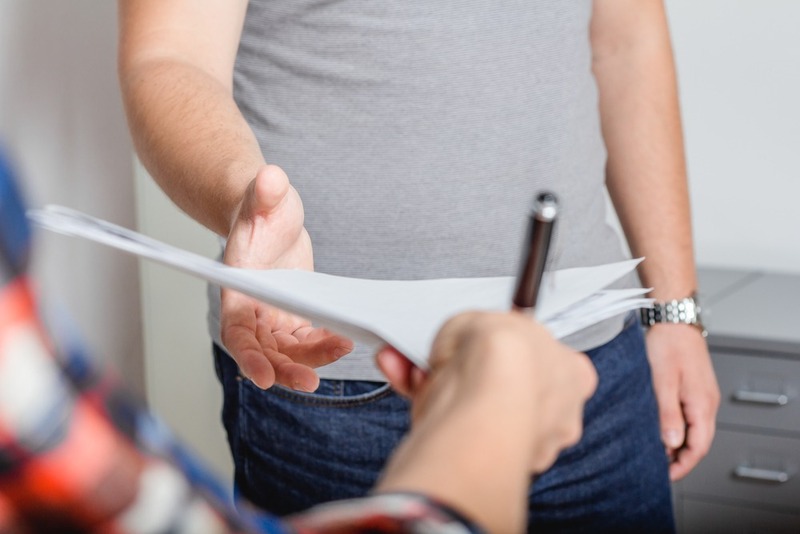 Following up a productive conversation with an award winning CV will not only drive home your image as a conscientious and well prepped student, but it serves as a tangible reminder of what a high calibre candidate you would make for their internship or placement programme. Everybody loves a gift, bring a plastic wallet with at least 20 copies of your golden CV ready to gift to employers on the day. Prior to a careers fair, the dress code can be the subject of great ambiguity. Do I wear my velvet trousers? Would my Cliff Richard t-shirt be inappropriate? Our advice: don’t overthink it. ​Wearing a three piece suit might seem like the obvious choice when considering whom you’ll be meeting, and whilst this will do no harm, it isn’t a necessity. From our experience, a more casual outfit will suffice. Equally, tracksuits are a no-no! ​The key thing to remember is not to look scruffy, you can wear casual clothes as long as you’re presentable. One of the great things about a careers fair is the vast amounts of info you’ll receive. Everything from CV and cover letter advice, to the name of a recruiter at a bank or a marketing agency. ​That’s why it’s vital you have two things: a pen and paper. Make sure you jot down all the details you’re given so you can get into contact after the fair. 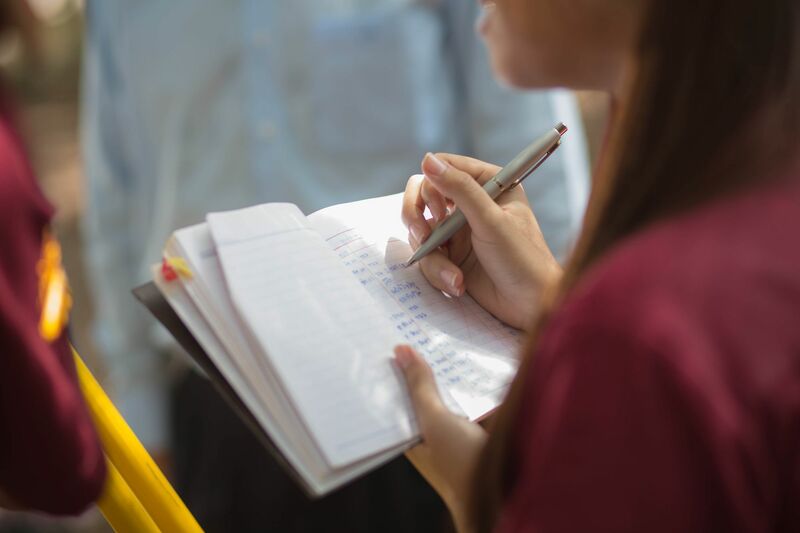 This is one of the primary attractions of a careers fair for students; recruiters are likely to divulge to you, in person, some hints and tips that a more idle applicant that didn’t attend would not have access to. Make sure you’re ready to note down all the useful pieces of advice you’re given on the day! After a day spent mingling, you’ll have an information overload. But, much like a ill-applied bottle of fake tan, your memory can be patchy. That’s why it is important to put some time aside after the fair to make sure you reflect on what you’ve learnt, review the employers you’ve met and establish a plan of action. This ‘plan’ doesn’t necessarily have to mirror the intricacies of a Pep Guardiola tactics sheet, however you should set out the next steps in order to follow up, and to make sure you nothing is forgotten. This might include shortlisting five internships or placements to apply for, sending some emails to employers to find out more, or even scheduling a meeting with the careers service to see how they can support you further. The idea is to build on your progress from the day. Don’t be static! To quote the lyrics of a well known Five song - ‘keep on moving’. Set aside a couple of hours after the fair so you can follow-up on all the great resources you've compiled. Follow our advice and employers will be fighting over you like hungry crocodiles. Be sure to check on your university’s website for all upcoming careers fair too. 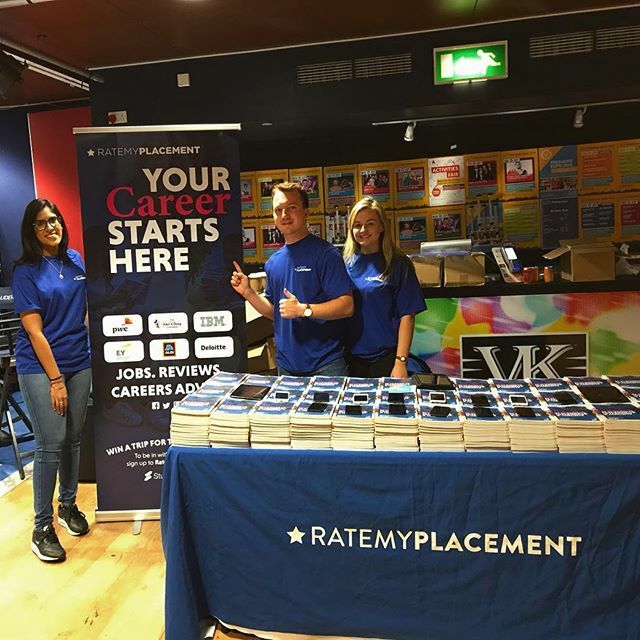 William Sones, Careers Fair Enthusiast joined the RateMyPlacement team as an intern in 2018. He attended over 30 careers and freshers fairs across UK universities in his time, picking up all the knowledge on the way.